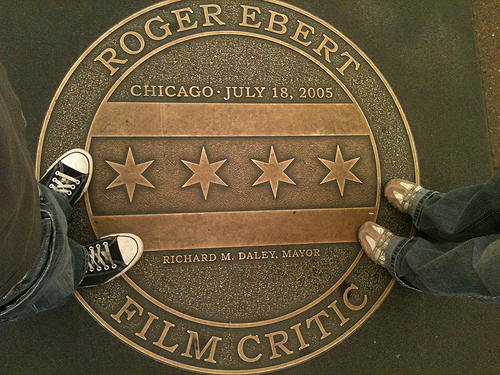 While wandering through downtown Chicago one Saturday night in September, I asked my friend Chris (a fellow Ebertist) if he thought Roger Ebert could identify the moment at which he had transcended film criticism and crossed over into his current identity as sort of the Mark Twain of the 21st century. We both agreed that he probably could, but after reading Ebert’s autobiography (a now-treasured anniversary gift from my favorite person), I’m not so sure. I don’t believe Ebert is incapable of perceiving his place in popular culture; I just think that, unlike most others with a similar stature, he’s never bothered to do so. If there was a single turning point, it may have been the day Ebert embraced Twitter as a vehicle for the voice no longer coming out of his mouth. His 140-character compositions have at least made his writing more relevant to me; confessions, manifestos, and exaltations that often occupy otherwise lonely late nights spent staring at this screen just looking for something more. "Something was forever lost from newspapers when their buildings stopped trembling." "The main thing wrong with a movie that is ten years old is that it isn’t thirty years old." "When you’re making a picture about the silence of God, it helps if everyone feels right at home and there’s a pot of coffee brewing." Roger Ebert probably doesn’t know when his writing became more relevant than his thumbs, but that’s because he’s more concerned with writing than being relevant.